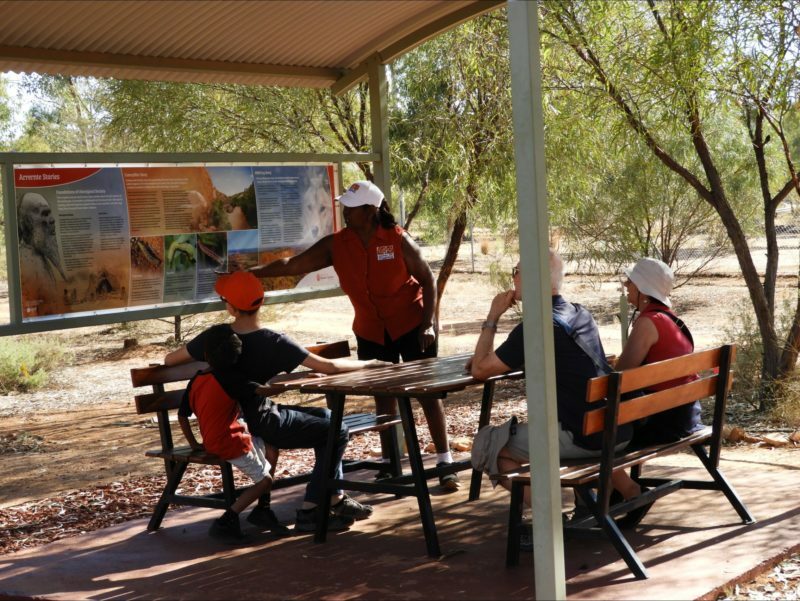 Join our knowledgeable guide, Alison Furber Kngwarre, for an experience of the natural and cultural environment of Alice Springs. 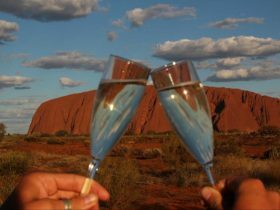 ‘Kngwarre’ is Alison’s inherited Aboriginal skin name, which determines cultural responsibilities within the traditional family system. 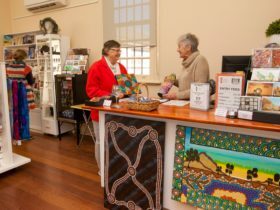 You’ll be taken on a journey and learn about the unique history of Alice Springs- it’s past, present and future. 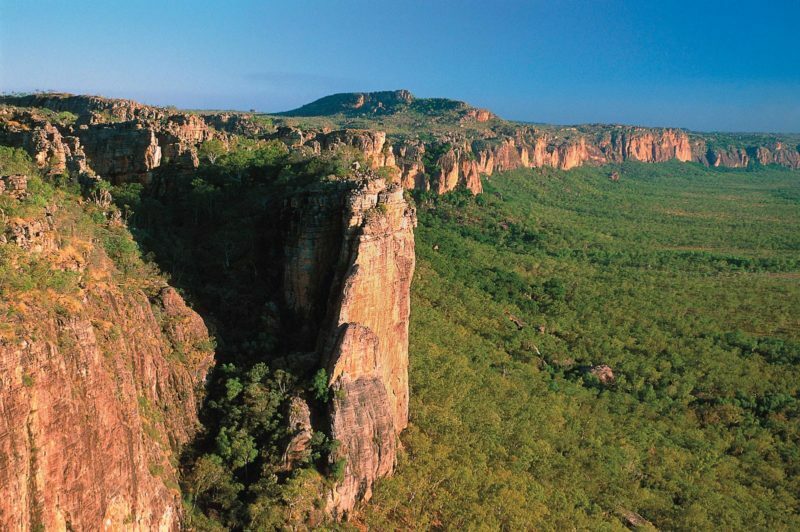 Discover the significance of connection between land and culture for Aboriginal people. 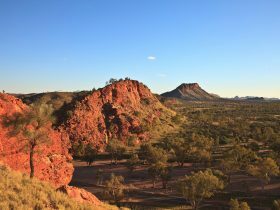 Come and experience a journey through the past, present and future of Central Australia. 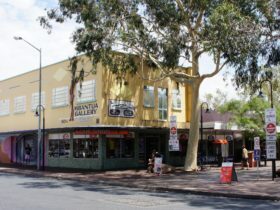 Join Alison Furber for this unique sunset experinece of the natural and spiritual meanings of Aboriginal people’s connection to the Dreaming. Stroll with her through the stunning botanical gardens, created by Olive Pink, as she shares her knowledge and experience with you. 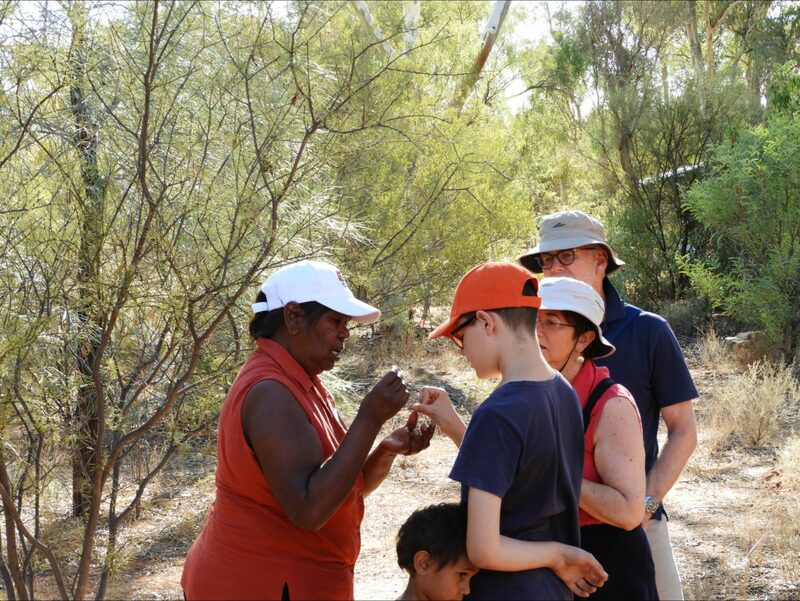 Journey the Dreaming is an Aboriginal cultural walking tour, drawing on 40,000 years of life in Central Australia. 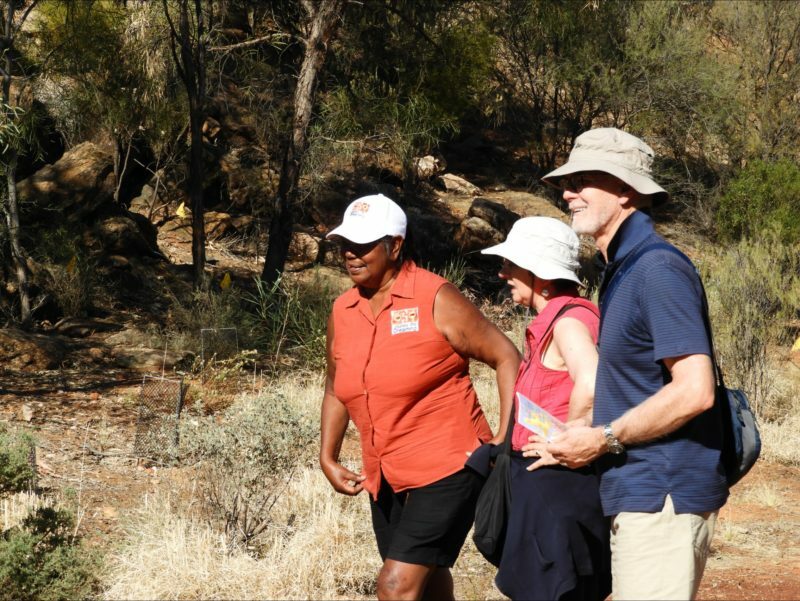 Join us for an experience of the natural and cultural environment of Alice Springs (Mparrntwe), taking in the Town Centre and the Todd River (Lhere Artepe) landscape.